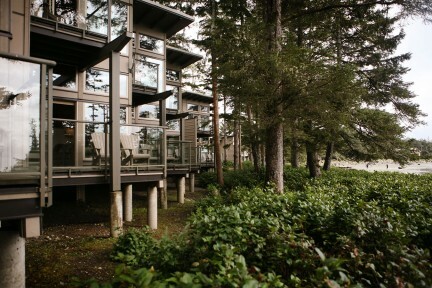 Peter Devries from Tofino, B.C. Leah Oke from Port Renfrew, B.C. By the time Chris Nelson’s voice makes it up to the satellite and back down to Vancouver, it’s already dark in the Badlands. Winter has descended on Cornwall, England, in the far southwest corner of the British Isles, which means the surf’s up, and further means our interview is deliberately happening after the fleeting sun has set, lest Nelson miss an evening paddle out. 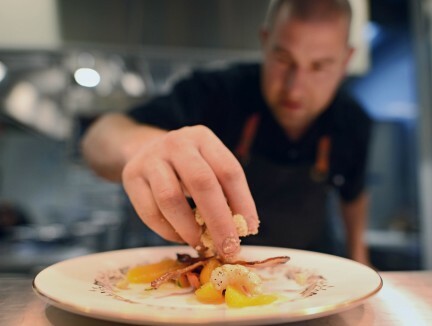 “I suppose there’s been such a focus on Vancouver Island lately, with surfers heading off on jet skis and boats and tracking down remote reefs, that it seems like a new phenomenon,” he opines in an English accent. Nelson, a journalist, spent the latter part of the last decade touring the northern hemisphere to chronicle the birth of cold water surf communities, visiting Iceland, Japan, Scotland, and Vancouver Island. His book, Cold Water Souls: In Search of Surfing’s Cold Water Pioneers (2011), was said to have “unearthed a whole new subspecies in the surfing genus” by revered niche magazine The Surfer’s Path. 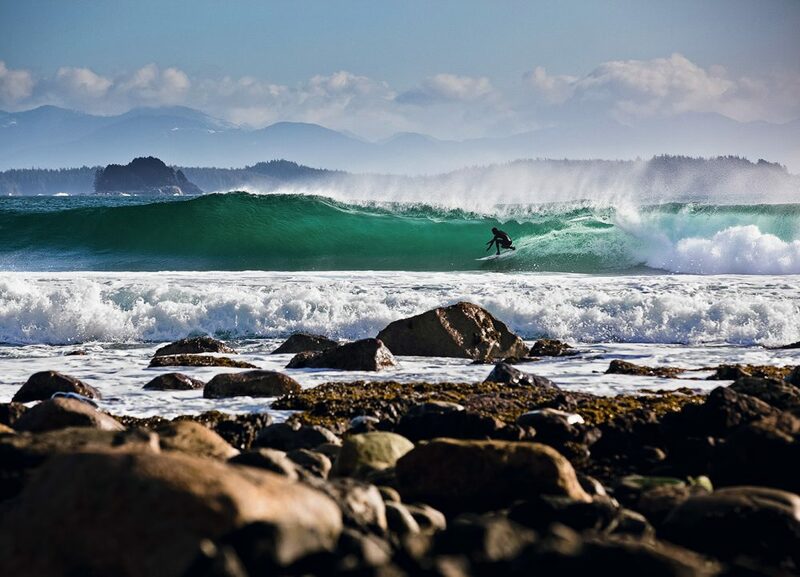 Indeed, global surf media have shown a keen interest in Canada’s pristine coastline lately, but when it comes to the general public, locally, it seems many people still don’t know how progressive, exciting, beautiful, and downright cool B.C.’s surfing scene really is. At a glance, comparing the Canadian wave-riding scene to the entrenched surf cultures of southern California, Hawaii, or Australia seems silly, but all four locations share a key similarity: the same Pacific Ocean that licks California’s Big Sur, Oahu’s North Shore, and Sydney’s Headlands also crashes into the West Coast of Vancouver Island. And, as a result, the wild, picturesque shores of B.C. can get very good waves. People have been surfing in B.C. since the 1960s, but it wasn’t until the late nineties that the concept really took off. Not coincidentally, this was around the time wetsuit designers were crafting the technological advancements necessary to make the Pacific Northwest’s icy waters more tolerable for the masses. Before that, you could crawl into a baggy beaver-tail wetsuit or a dive suit and paddle out—and some did—but when the ocean temperature dips below 10 degrees, the air hovers beneath freezing, and snow rips down the beach in winds that originated off the banks of Alaska, the advancing hypothermia and immobility of a stiff rubber bodysuit can make it difficult to concentrate on catching a wave. None of this is hyperbole. Surfing in Canada can be a very frosty experience, which is one reason why the people who do it here get so much respect from the global surfing community. “Originally, surfing was all about ruggedness and wilderness, and that’s why the guys [in Canada] have respect. It’s cold and they really have to work for it, but you almost feel nostalgic that these are the guys on the new frontier,” said Pat O’Connell, an American professional surfer and the vice president of sports marketing for surfing über-brand, Hurley, when he was interviewed in 2007 about Canadian surf star Peter Devries for California-based Surfer magazine. Since that interview, which was the first time a Canadian surfer was given a full profile in the pages of Surfer, Devries has also scored its cover. In 2009, he won the O’Neill Coldwater Classic in Tofino, a six-star Association of Surfing Professionals World Qualifying Series event that attracted surfing’s top athletes from around the world. These accolades have earned Devries sponsorship from big brands like Hurley and Monster Energy to B.C.-based Sitka Surfboards. 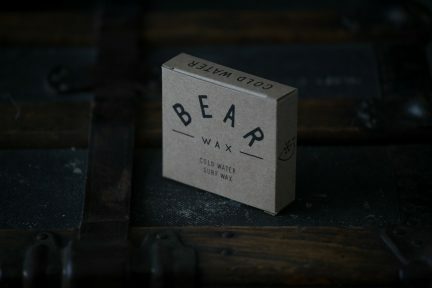 His business card, if he had one, would read “professional surfer”, and he’s also not the only one from Tofino with this designation. A case in point is 27-year-old Leah Oke, a Vancouver Island surfer of more than 20 years. Oke has been living in Panama as of late, gaining competition experience in the busy Central American contest circuit. And the hard work is paying off. It was recently announced that she will be the first Canadian woman to compete in a six-star World Qualifying Series event this summer. Oke is a fine example, too, of how women are closing in on the fun of this male-dominated sport. In his book, Nelson noted that the significant number of women in cold water communities is a unique distinction from surf scenes in warmer climates. Locally, Dom Domic, president of the Canadian Surfing Association, has been key in developing the competitive side of the B.C. surf scene ever since 1988’s WestBeach Surf Jam, largely considered the original West Coast surf competition. “It all started super grass roots, a couple phone calls and an awards party after at Surf ’N Suds,” Domic remembers of the eighties. “I never wanted a carnival, I always wanted a competition. The goal was always to get a [world qualifying series] event in Canada.” Today, the annual Rip Curl Stew is Canada’s biggest surfing event, having attracted almost 100 competitors and over 1,000 spectators in 2011. 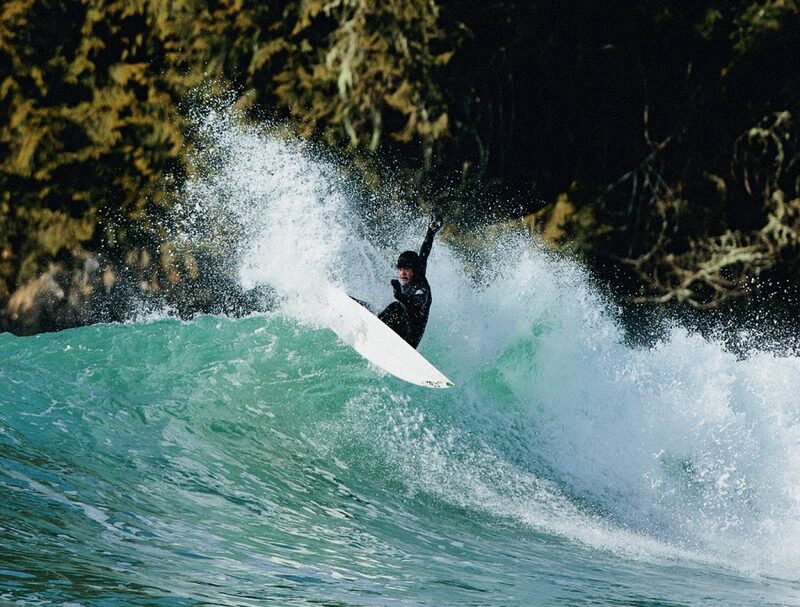 Thanks to guys like Domic, as well as Island-based talent like siblings Raph, Sepp and Cath Bruhwiler (who for years have charged hard both in and out of the water to carve out livings for their families through surfing), Tofino has become a place where child surfers—grommets, as they’re called—can dream big. 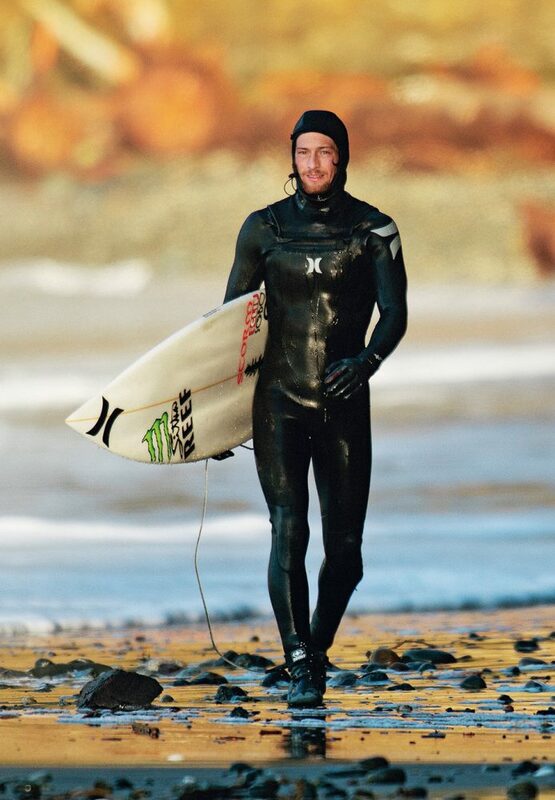 “Being a professional surfer from Canada was an unobtainable dream before,” Domic says. “But now if I was 12 and growing up in Tofino, I’d have something to shoot for.” The surf is up in more ways than one.